Were in , very unorganised but in! Have loads to tell you my house is gorgeous! 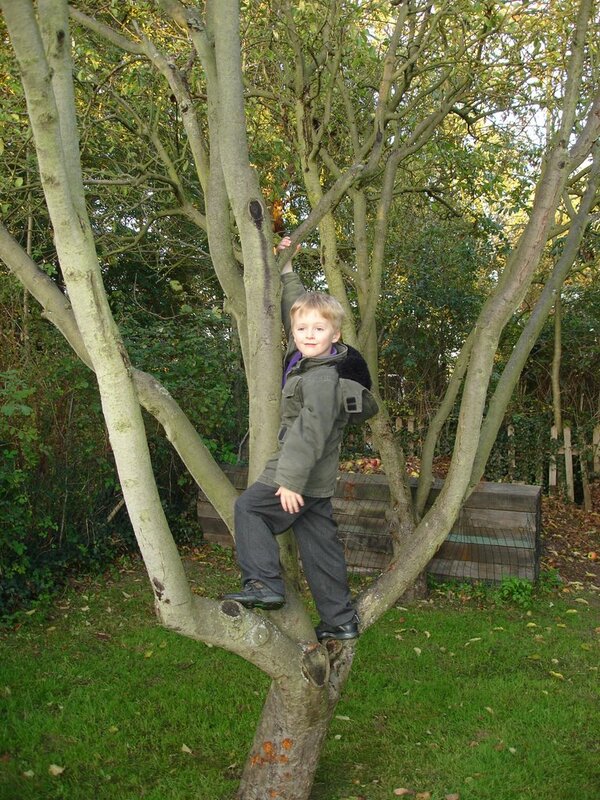 havent taken many pics yet heres one of Owen in one of the apple trees at the bottom of the garden! we have about ten trees! ( will have to count them!) we get loads of squirrels and plenty of birds! Im lovin it! The lo is novembers scrapagogo kit very yummy isnt it! I have lots more to show but will be soon ! see ya!